Hold onto your sunglasses in Phish Head style with PINK Donuts! Croakies are easily adjustable. Classic size means they fit most regular-size eyewear frames (including Wayfarers), but fit easiest on thinner frames. Classic Croakies measure 16" long by 3/4" wide, fit ear bows up to 1/4". 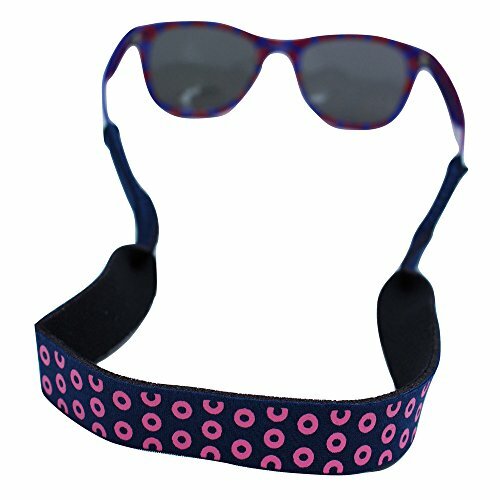 Regular, "Classic" size Croakies, measuring 16" long by 3/4" wide & fits ear bows up to 1/4″; fits most regular-size eyewear frames (including Wayfarers); fits easiest on thinner frames. Created by Phans for Phans & Made in the USA; These donuts are colored PINK! Because...why not?